A seven-year-old with British nationality is believed to be among those missing following two terrorist attacks in Spain, Prime Minister Theresa May has said. Julian Alessandro Cadman, an Australian boy with UK dual citizenship, was out walking with his mother, Jom Cadman, when terrorists plowed a van into the packed Las Ramblas street, leaving at least 13 dead and more than 100 injured. His mother is in hospital in a serious but stable condition, but he has yet to be found. The pair, from Sydney, were reportedly in Barcelona for a wedding. 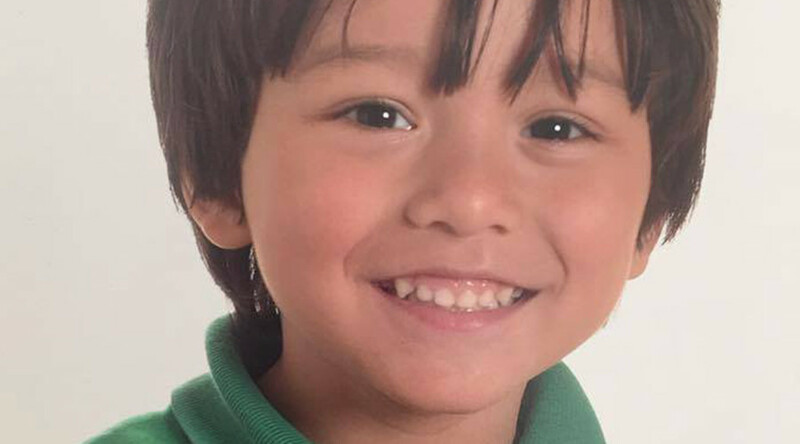 His father, Andrew Cadman, from Sydney, is reportedly traveling to Barcelona to search for the boy. His family has launched a social media campaign in a bid to find him. His grandfather, Tony Cadman, who lives in Sydney but is originally from Gillingham, Dorset, posted an appeal on Facebook. “My Grandson, Julian Alessandro Cadman is missing. Please like and share. We have found Jom (my daughter in law) and she is serious but stable condition in hospital. According to the Telegraph, the boy moved to Australia three years ago. He attended Chiddingstone Nursery in Kent before moving to Sydney with his mother, who is from the Philippines, and his Australian father. Prime Minister May said in a statement on Friday afternoon: “Sadly, I must tell you that we do believe that a number of British nationals were caught up in the attack. “We’re urgently looking into reports of a child believed missing, who is a British dual national. 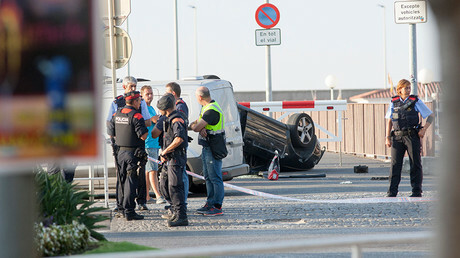 “The Foreign Office is considering consular assistance to those who were involved in the attack and their families, and are working urgently to see if there are others who need their help,” she said, after speaking with Spanish Prime Minister Mariano Rajoy. The Queen sent a letter to the King of Spain, Felipe VI, offering her “heartfelt sympathies” and commenting that it was “deeply upsetting” that innocent people had died. “Prince Philip and I send our sincerest condolences to Your Majesty and the people of Spain, following the terrible terrorist attacks in Barcelona and Cambrils which killed and seriously injured many.